they follow the Lamb and sing for ever: Glory to you, O Lord. Today, the Church celebrates the memory of the small children of the neighborhood of Bethlehem who were put to death by Herod, who was seeking to kill Jesus. These innocent victims bear witness to Christ to a world which would not receive Him. The Latin Church instituted the feast of the Holy Innocents at a date now unknown, not before the end of the fourth and not later than the end of the fifth century. 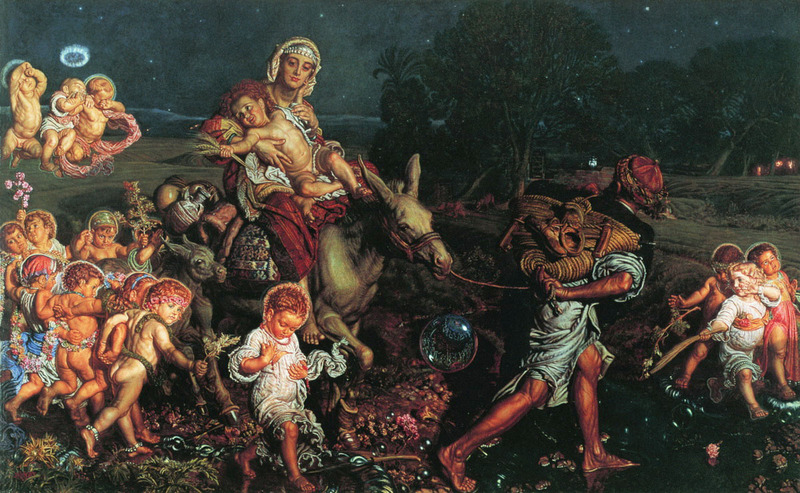 The feast is kept within the octave of Christmas because the Holy Innocents gave their life for the newborn Savior. O God, whom the Holy Innocents confessed and proclaimed on this day, not by speaking but by dying, grant, we pray, that the faith in you which we confess with our lips may also speak through our manner of life. Through our Lord Jesus Christ, your Son, who lives and reigns with You, in the unity of the Holy Spirit, one God, forever and ever. Below you have the 2nd reading of today’s Liturgy of the Hours which is worth the read and meditation. so we can have a wider apostolic reach and thus help more people in their Christian life. Thanks and God bless! ℟. They worshipped him who lives for ever and ever,* and laid their crowns before the throne of the Lord their God. ℣. They fell on their faces before the throne, and blessed him who lives for ever and ever,* and laid their crowns before the throne of the Lord their God. DEC. 30: FEAST OF THE HOLY FAMILY OF JESUS, MARY, AND JOSEPH: Why did Jesus come into the world in a family? Video Prayer (0:19s) & text.